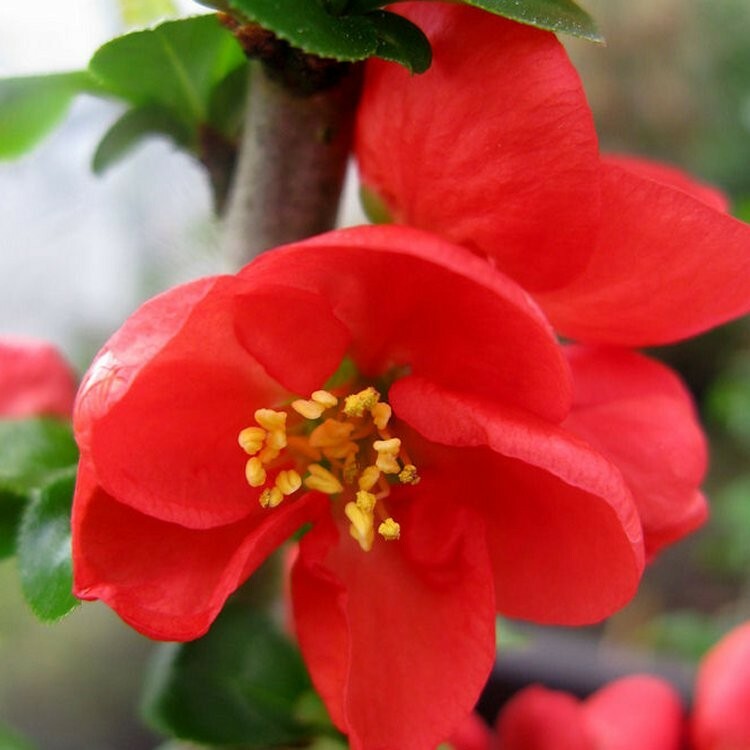 Chaenomeles are very tough and easy to grow shrubs, they are one of the best things to plant for putting on a dazzling, early show - even in difficult relatively shady positions. 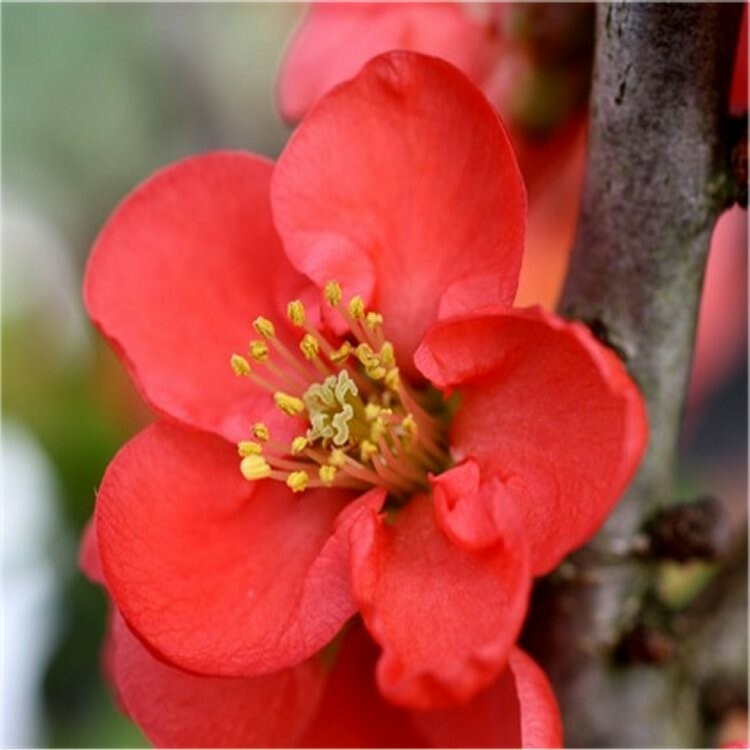 Red Kimono can be grown as a free-standing shrub, or its thorny stems can be trained to grow flat against a wall, where its gorgeous fiery red flowers might be seen to best effect on its bare stems. 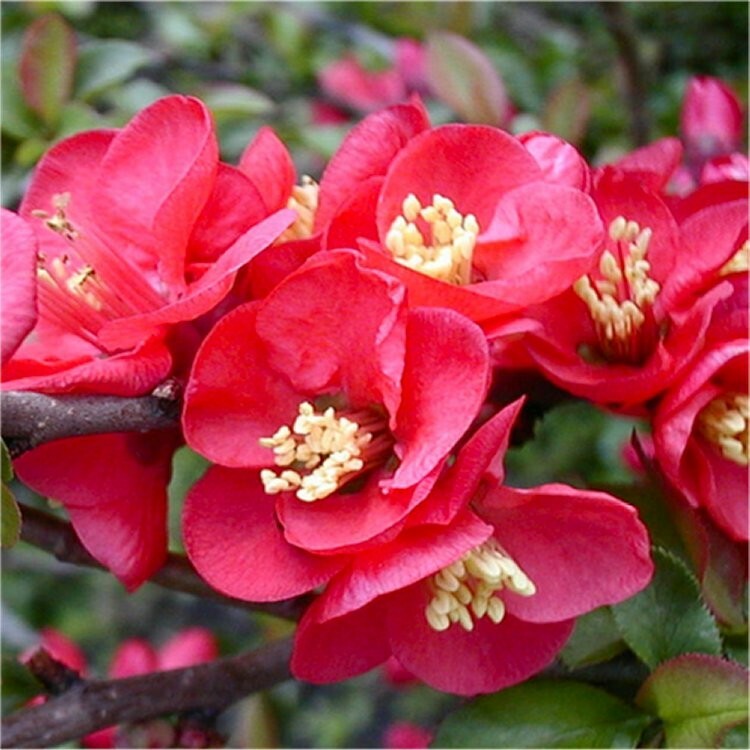 In autumn, you may be able to harvest the fruits that develop. 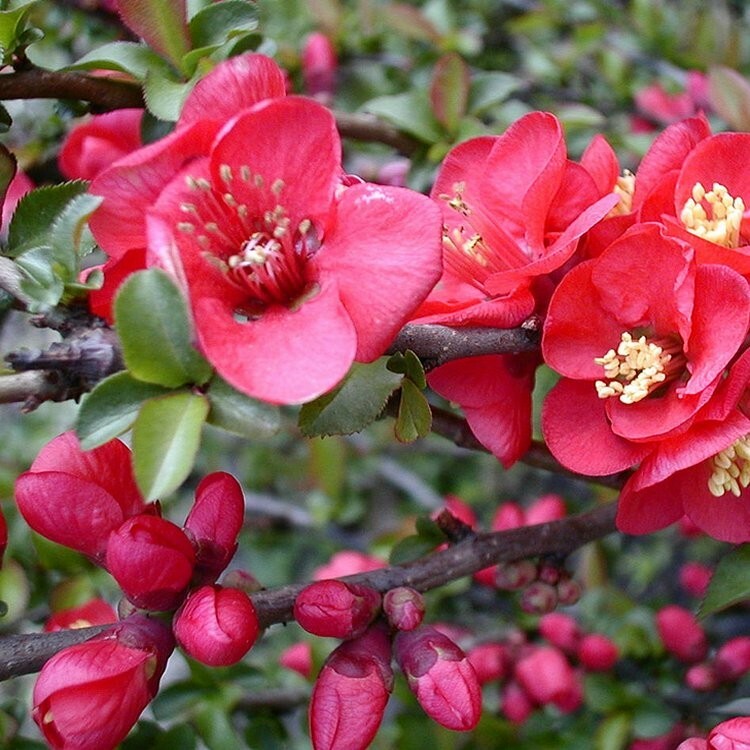 These can be used to make delicious jam, chutney or syrup.